Bethany Carson and Grainne Murphy were among the winners as records tumbled on the final day of the Irish Short Course Championships in Lisburn. Lisburn swimmer Carson won the 200m in the 2:00.84 while Wexford's Murphy secured a third gold medal of the meeting in the 400m individual medley. 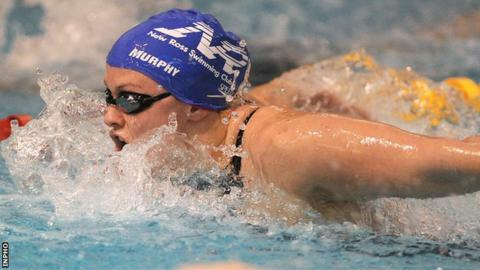 Fourteen Irish records were set over the three days of competition. Andrew Meegan became the first Irishman to swim under eight minutes in the 800m freestyle, in a time of 7:59.92.